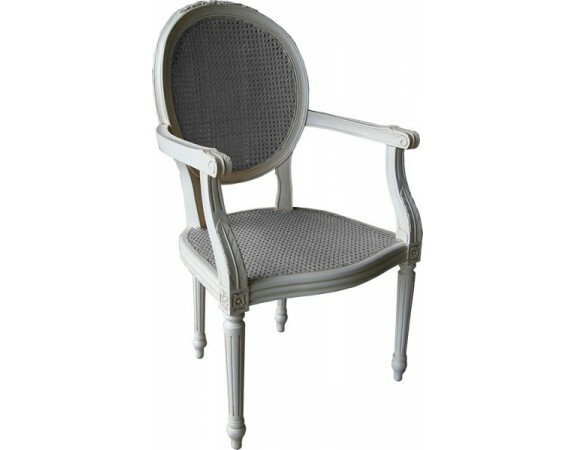 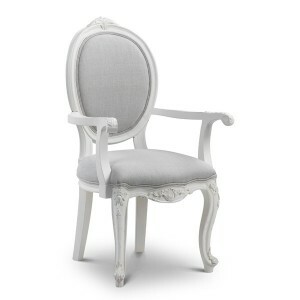 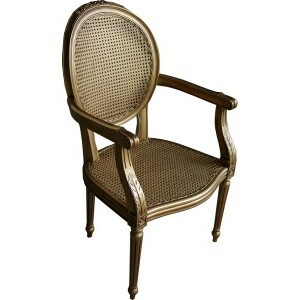 Traditional French style carver chair in antique white finish with rattan seat and back. 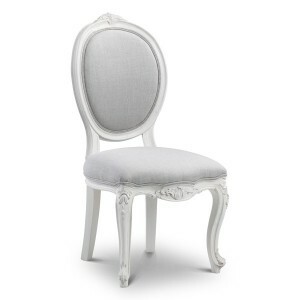 These go really well with our antique white bedroom furniture, and make an outstanding feature for that special place in a room. 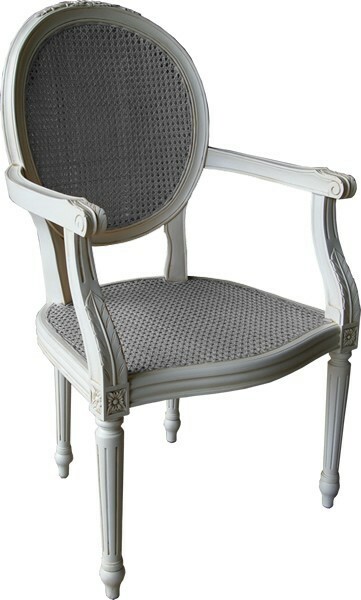 Width across the arms / seat is 60cm, and the height from the floor to the top of the arms is 73cm.